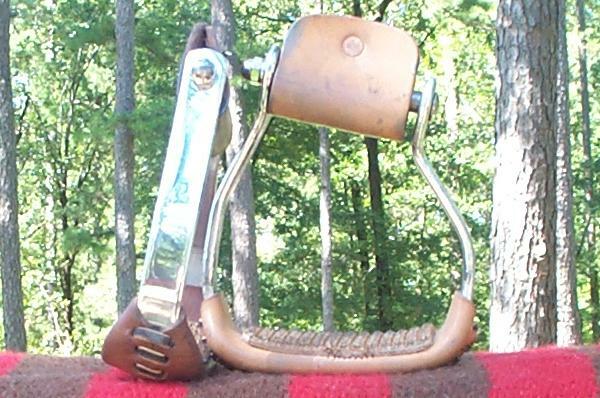 In 1995, I took some of my Cast Stirrups to the Old Fort Days Barrel Futurity in Ft. Smith, AR. 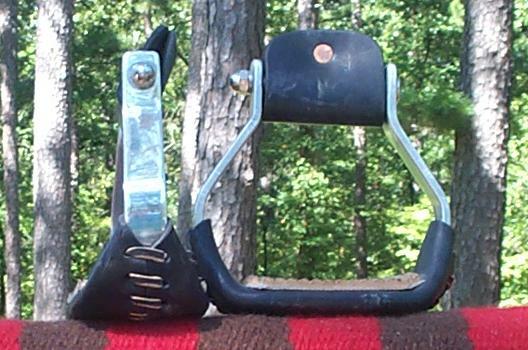 I didn't do very well, so I went back home and designed a stirrup pretty much for barrel racing. 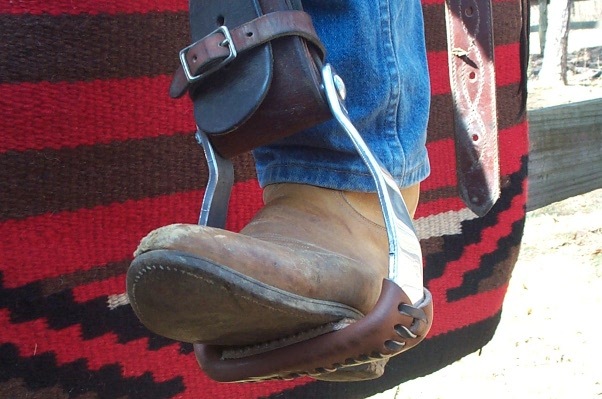 We make these just like we make my Lite stirrups. What I like about these is that they're lightweight, but the rubber that is sewn to the leather bottom adds weight to make them bottom-heavy, with a kinda balanced feel to them. The 2" weighs 14oz. Because these are handmade, we can make the top to fit the fender, a standard 3", 2½", or 2". Just ask. Of course they come in Straight, Offset, Slanted, and Offset-Slanted. We can also do Oxbows, Youth, and Extra Large. I started adding the name "Trail Rider" a couple of years ago 'cause they kinda crossed over to them. They really like 'em, especially the Slanted and Offset-Slanted. For those who prefer a very light flat-bottom. 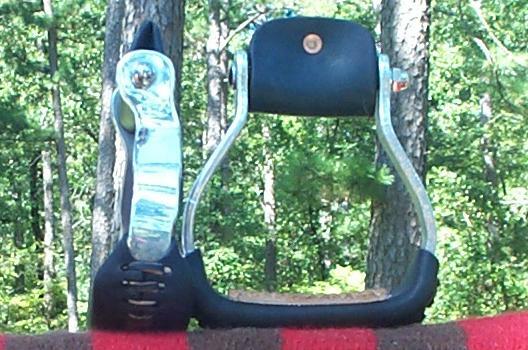 A very comfortable slanted stirrup that takes the pressure out of your ankles and knees. 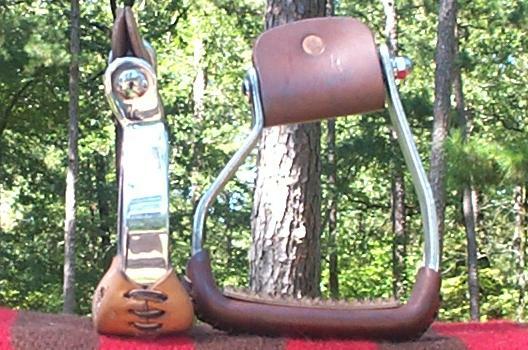 A cantilevered stirrup that sets you back on your hip pockets and puts you deeper into the saddle. Puts your heels down, while also relieving pressure on your ankles and knees. Levels out your foot and puts a twist to the fender.